How do the wealthy elite evade taxes and rip off the system, while at the same time forcing the poor into greater debt slavery? 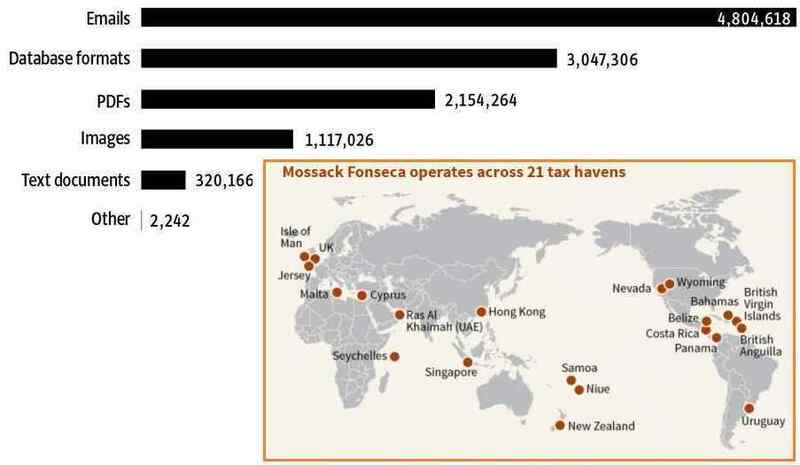 The recently released Panama Papers give insights into the process, as does the HSBC scandals and the emerging Unaoil scandals. In each case, it is secrets revealed that brought the elite to justice and exposure. Like the Enron case during the Bush era, where the truth emerged because of a memo left in a copy machine. In each of the current three cases, it was leaked documents! When there are brave souls willing to take the risk and open the cesspools of the elite, truth prevails! The Panama Papers expose was only possible because someone in the Panama law firm provided over 100 investigative journalists from the International Consortium of Investigative Journalists with a massive trove of documents. More than 200,000 companies, foundations and trusts are contained in the leak of information which came from a little-known but powerful law firm based in Panama called Mossack Fonseca, whose files include the offshore holdings of drug dealers, Mafia members, corrupt politicians and tax evaders – and wrongdoing galore. The law firm is one of the world's top creators of shell companies, which can be legally used to hide the ownership of assets. The International Consortium of Investigative Journalists, together with the German newspaper Suddeutsche Zeitung and more than 100 other media partners, spent a year sifting through 11.5 million leaked files. ICIJ’s data and research unit indexed, organized and analyzed the 2.6 terabytes of data that make up the leak, using collaborative platforms to communicate and share documents with journalists working in 25 languages in nearly 80 countries. Over a year ago, an anonymous source contacted the Süddeutsche Zeitung (SZ) and submitted encrypted internal documents from Mossack Fonseca, a Panamanian law firm that sells anonymous offshore companies around the world. 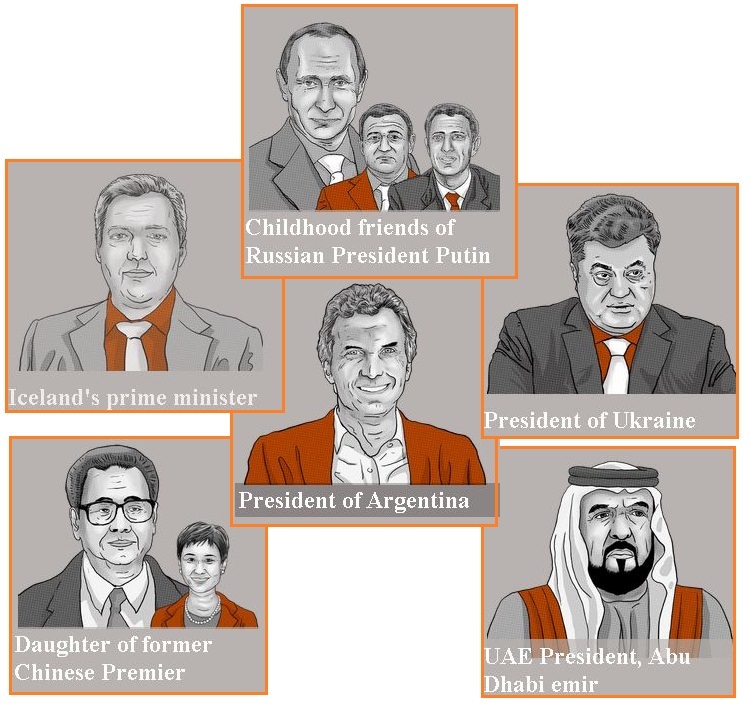 The documents show 12 current or former heads of state and 61 people linked to current or former world leaders in the data. ZetaTalk Comment 2/9/2016: The Panama Papers have been in the hands of the media for over a year, so why the media focus now? Did 100 media partners, all with their hands in the pie, all agree to wait? The break in the news came because someone in the media was going to jump, and this was in regard to UK revelations. This pushed papers linked to the UK to rush to print, featuring a reach to Putin as the headline. In fact, if one examines the perpetrators, it is not Putin nor Russia nor China with dirty hands, as both are a long reach. A childhood friend or a daughter of a former premiere are not the same as direct involvement of a sitting President or Prime Minister. Whatever else this trove of truth reveals, it shows the relationship of power to wealth. If not wealthy when they gain the reins of power, politicians often become wealthy due to these reins and their reach. One need look no further than the Clinton family history to see this. Those inclined to expose the dirty deals and arrangements look away, rather than challenge the powerful. What will result from the exposure will be prosecutions, in some cases, or loss of influence in others. Little will change in the way the world of the elite operates. This Panamanian law firm was not the only firm juggling the books. If the Panama Papers hit the media because someone leaked the documents to investigative journalists, what brought headaches to the corrupt HSBC bank in the past? The HSBC scandals on tax avoidance and money laundering emerged in 2014 due to leaked bank account details. No punishment resulted. Stephen Green, who headed HSBC during the scandal ridden years, became Cameron’s Minister of Trade in the House of Lords. Several sitting members of the UK’s House of Lords were implicated in the Panama Papers also. At David Cameron’s invitation he left to join the House of Lords at the end of 2010, donning ermine as Lord Green of Hurstpierpoint and becoming minister for trade and investment. HSBC’s Swiss banking arm helped wealthy customers dodge taxes and conceal millions of dollars of assets, doling out bundles of untraceable cash and advising clients on how to circumvent domestic tax authorities, according to a huge cache of leaked secret bank account files. The files – obtained through an international collaboration of news outlets, including the Guardian, the French daily Le Monde, BBC Panorama and the Washington-based International Consortium of Investigative Journalists – reveal. The HSBC files, which cover the period 2005-2007, amount to the biggest banking leak in history, shedding light on some 30,000 accounts holding almost $120bn (£78bn) of assets. HSBC has escaped action by the Financial Conduct Authority (FCA), a regulatory body in the UK that operates independently of the UK government. The FCA was investigating HSBC's working practices that led to the Swiss tax scandal. 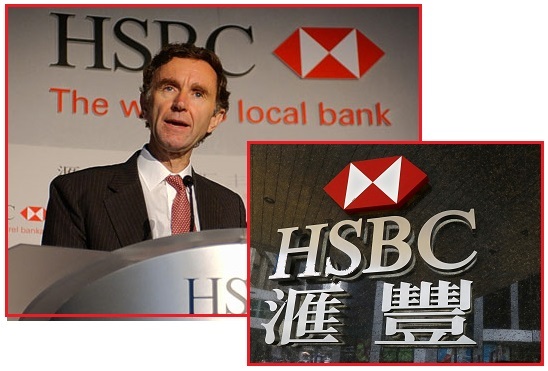 About a year ago, HSBC's Swiss unit was found guilty of helping its customers to dodge taxes. A few leaked bank account details had showed how some of HSBC's clients were concealing assets and paying large sums to avoid the tax authorities. ZetaTalk Insight 11/15/2014: Are there clues that the elite who have been blocking the announcement admitting the presence of Nibiru are under assault by the truth? There is nothing they could not reveal to the public, is the message. Another clue to what is happening behind the scenes is the media focus. In the past these issues would not be in the media, or on some back page or conspiracy site if at all. Media handlers have started to loosen their grip on what can be reported, though this grip is still a strangle hold. Soon they personally will be faced with embarrassing revelations, both personal and criminal, in press outlets not friendly to the target. The Internet spreads the word, and as long as any major media outlet reports some news, it gets around. This game has just begun! If the Panama Papers became a public scandal because a trove of documents was released to investigative journalists, and the HSBC scandals hit the press because of leaked bank account details, what is feeding the growing scandal over the Unaoil bribery and money laundering scandal? In the Unaoil case, it was leaked email. Shades of the Hillary Clinton criminal home brew server and public corruption via hand offs to the Clinton Foundation investigation, which also started with emails being revealed. When there are no secrets, the cesspools can really reek! British financial giant HSBC and American bailout kingpin Citibank processed transactions, managed money and vouched for Unaoil, a once-obscure firm that is now at the center of a massive international corruption scandal. Police moved after Fairfax Media broke the story that Unaoil and its owners, the Ahsani family, used multi-million dollar commissions to bribe corrupt governments in oil rich states to win contracts for large western firms such as Rolls-Royce, Halliburton and Australia's Leighton Offshore. Information from hundreds of thousands of emails to Unaoil’s chief executive, Cyrus Ahsani, show individual executives and managers from Halliburton and Kellogg Brown & Root (KBR), knew or suspected that Unaoil was acting corruptly to win contracts in Kazakhstan. The US Department of Justice, FBI, UK National Crime Agency and Australian Federal Police are now jointly investigating Unaoil and some its multinational clients. The probe is likely to be one of the world’s biggest, given the number of companies and countries involved. Questions are emerging about how Unaoil operated for so many years with impunity, using bank accounts in New York and London to launder funds and pay bribes. The Zetas have predicted that much of the world will become a water world after the Pole Shift, due to the friction of the crustal shift heating deep ocean water to raise the sea level some 675 feet above the current level. ZetaTalk Explanation 10/5/2002: In computing the rise in the seas to 675 feet, more than the melting of Antarctic and Greenland ice is presumed, as this rise has been computed by man to be only 200 feet. What is missing from this equation is swelling of land masses, land surface under the water. All land surface will be heated due to the swirling of the core, the heat to the extent that it can escape into the land surface doing so. The result? This surface will expand, crevasses opening, flaky layers of rock separating, and buckling occurring that creates spaces in the interior of rock. Under the oceans, this equates to a higher ocean bottom, with the water needing to go someplace, and as the bottom is moving up, the sea level can only go up also. Where ZetaTalk, and certainly Nancy has been touting houseboat living, there will be vast regions along the new coastlines which will become tidal basins – dry land between tides, but swampy and water logged when the tide comes in. 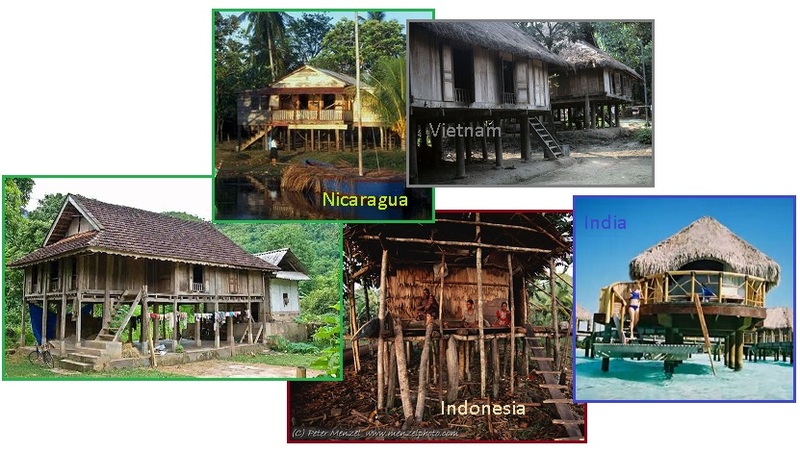 Around the world, the populace in regions such as the Philippines live in stilt houses. From Vietnam to Nicaragua to Cambodia to the Philippines, families are high and dry above the muck. Two thatch-roofed houses elevated on wood columns at Mai Chau provide excellent examples of highland village house construction. In the rear of the photograph, a person works in the shade under the house. Hand-hewn wooden walls, columns, shutter doors, and entrance ladders indicate that this is an older and fairly permanent village center where such labor and materials will be expended. Traditionally, most Southeast Asian houses were elevated to provide a measure of protection from wet ground, wild animals, or human intruders. In some areas, livestock and tools are stored under the house. The village of Sandy Bay, about 30 miles away from Orinoco, is on the Mosquito Coast, where many homes have no electricity or rely on costly diesel generation. Dupuis says. "I asked myself: who on earth would benefit the most from a house?" The answer became clear through his research: people living in communities like Cambodia's Steung Meanchey, where 12,000 subsist on the $1- to $2-a-day earned from recycling trash. According to World Housing's official site, the millions living in third-world garbage dumps—the largest of which is the Philippines' Smokey Mountain Landfill, home to some 30,000 people—have the worst living and working conditions in the world. 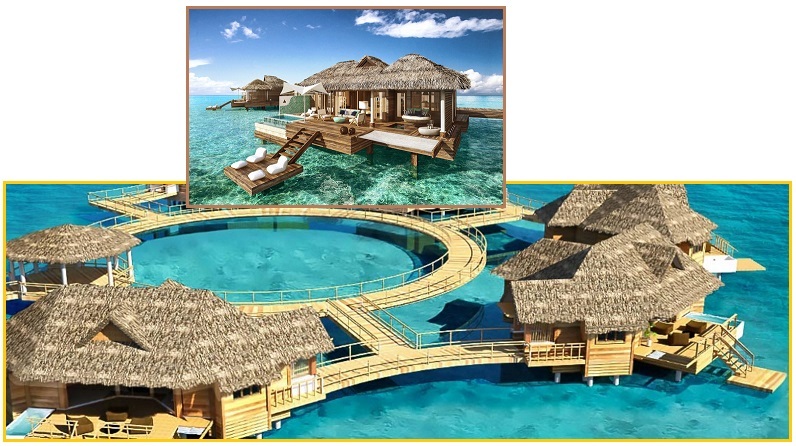 Sandals is now romanticizing the notion of living in stilt houses, raised above the tide, which will be a reality for rich and poor alike in many regions in the Aftertime. Sandals resorts is taking overwater bungalows to the next level with its new Over-The-Water Suites at Sandals Royal Caribbean in Montego Bay, Jamaica — and they look like everything we’ve ever wanted in a resort and more. At around $4,000 per night, these little pieces of paradise don’t come cheap. Weather Wobbles have often been detailed in this newsletter. Two years ago in March, 2014 in Issue 388 we detailed temperature extremes. The wobble has worsened recently, as outlined in Issue 494 of this newsletter only weeks ago, with the Sun rising and setting in more extreme locations. This caused weather extremes this past Winter, with snow in southern locales while the Arctic melted. 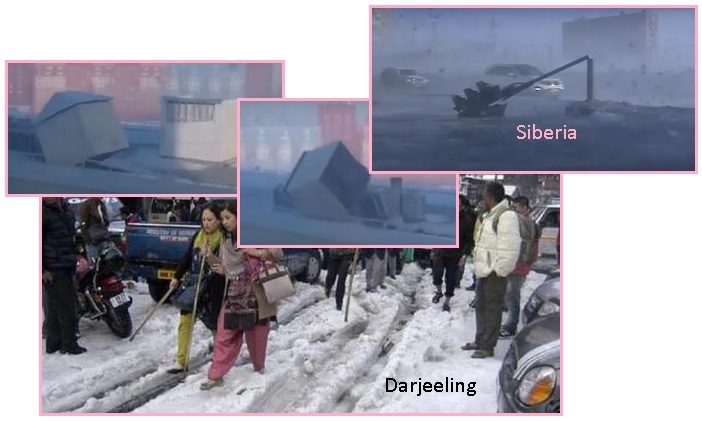 A more severe and violent wobble would also produce high winds, which have recently occurred to create massive dust storms in Texas and Australia, violent winds across Siberia, and a deluge of hail dropping up to 10 inches of icy hail on Darjeeling, which lies just above Bangladesh. The National Weather Service said a cold front that moved through had winds up to 60 mph and spread dirt picked up from Colorado and Kansas. 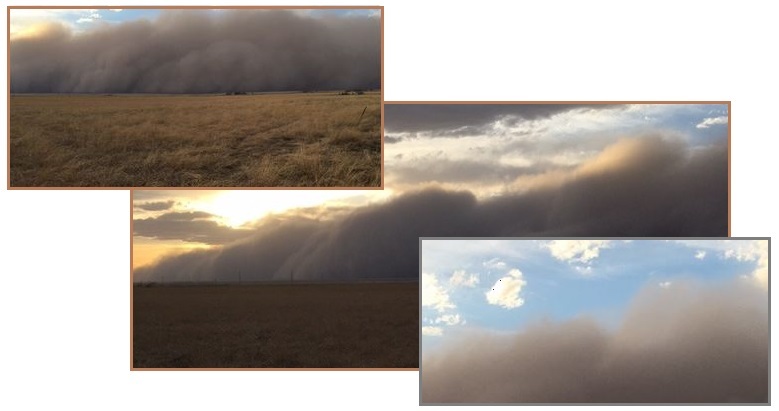 The dust was so heavy that evidence of the storm turned up on National Weather Service radar, with the system reaching as far south as Lubbock. 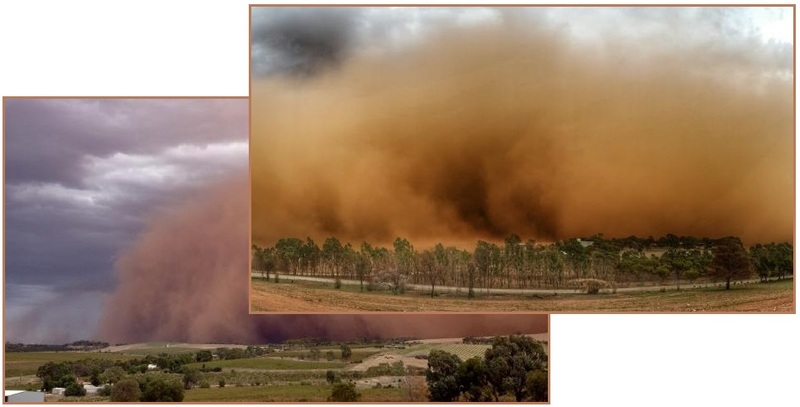 Rolling walls of dust have swept through the Barossa Valley and Mid North in recent months. Everything was going blood red. A sudden hailstorm hit the town area in the afternoon continuing relentlessly for nearly an hour. The fall was so heavy that hailstones accumulated in many places disrupting traffic till late in the evening, and pedestrians too had a very difficult time walking in the streets. A violent storm hit Russia last weekend. The damage was extensive with many roofs flew as well as urban infrastructure. Watch the video of roofs torn off by the wind. Late last week, a broad low pressure system moved from Scandinavia to western Siberia. Several secondary depressions have followed from the Urals to the Yenisei and caused significant damage. How bad will the winds get? Per the Zetas, even during the hour of the Pole Shift, the hurricane force winds will not exceed what mankind regularly experiences. This is because the atmosphere poses a natural brake. The Zetas explain. ZetaTalk Prediction 1/15/1996: At the shift, the surface of the Earth will move, in just under an hour, more than a quarter turn. Where massive earthquakes and tidal waves occur when this motion stops, hurricane force winds, world wide, occur during this shift. Humans are used to predictability in regard to violent winds, even in the case of tornadoes and wind shears that drop planes suddenly. The weather patterns are such that these destructive winds can occur, spoken of as tornado weather or conditions likely to produce wind shear. Hurricanes, or their eastern equivalent, typhoons, give lots of warnings, not only that they are brewing but also, by increasing wind force, that they are on the way. It drags along with the Earth, to which it is attracted, being primarily more involved with gravity attraction straight down. Do not the waters in your oceans move with the Earth as it turns? The atmosphere is an ocean too, just lighter and therefore more mobile. It moves as a mass, pushing on air in other places and likewise, itself being pushed. Thus, even in those places on the Earth which are not moving, during the shift, being pivot points, the air is turbulent. It swirls, as circular motion in air masses is the response to conflicting forces, as seen in the circular motion of tornadoes and hurricanes. Due to the amount of mobility, with all air masses in motion, and to the pulling upward and ripping away of the upper stratas, pressure at any given point is not as extreme as one might think. Yes, the atmosphere is in motion, and yes, the whipping and confused winds might reach hurricane force during this hour and be unpredictable for several hours after the shift, but one should not assume a force of winds above what the world experiences today. Your hurricanes and typhoons represent what occurs when air masses attempt to move against each other, given their density and gravity attraction and inertia. These same factors are in place, are predominant, during the pole shift. Humans wishing to prepare for these violent winds should anticipate a force equal to their familiar hurricanes, not tornado force, although tornadoes will be spawned. Stay below the Earth's surface, lie low, and tie down everything you wish to find when it's over.